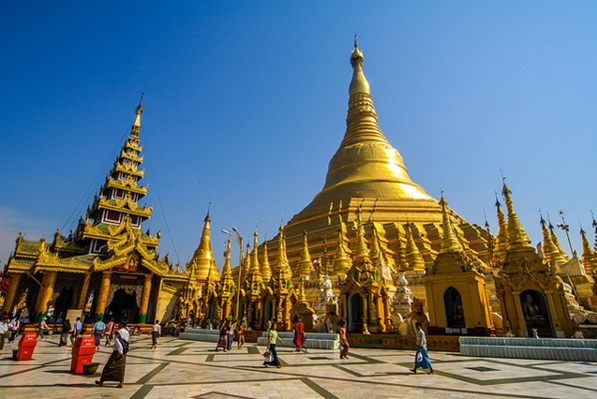 "Shwedagon, a gorgeous golden pagoda In Yangon "
For a long time, Myanmar has been regarded as a Buddhist holy land with a significant number of golden Pagodas. 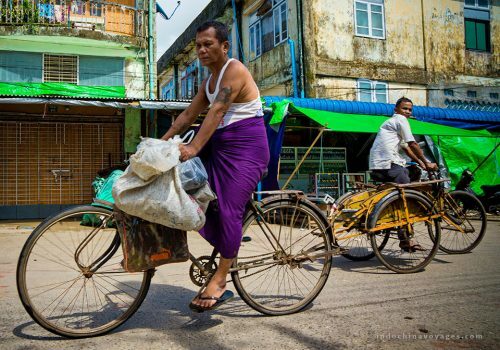 This symbol has become the pride for the people of the Union of Myanmar. 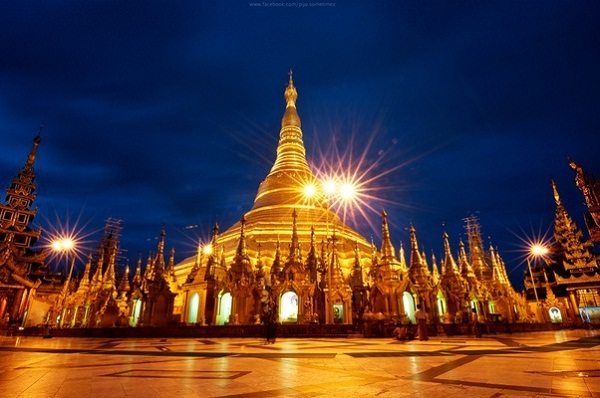 One of them, the most well-known pagoda in Myanmar, is Shwedagon (the golden Pagoda) which has existed for more than 2,600 years, making it the oldest historical in Burma and the world. 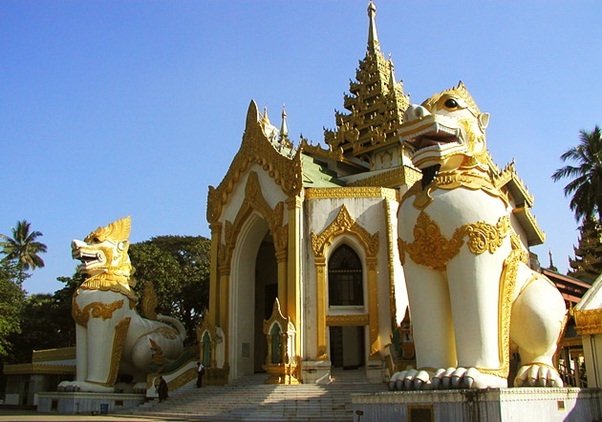 Situated west of the Royal Lake on 114 –acre Singuttara Hill in Yangon, as a result, Shwedagon Pagoda is the most sacred and impressive Buddhist site. For detail, the main stupa is the temple’s most particular structure. It is visible at its hilltop location from much of Yangon city. The stupa is surrounded by 64 small stupas. A seven spired hti, an ornament shaped as an umbrella with golden bells attached to it is placed at the top of the pagoda. The hti is decorated with thousands of diamonds and other precious stones. If you stand in the right spot of the pagoda platform, you will see the reflection of the rays of the sun from the huge diamond on top of the gold plated hti in various colors like red, purple and orange. It is obvious that it is one of the wonders of the religious world. 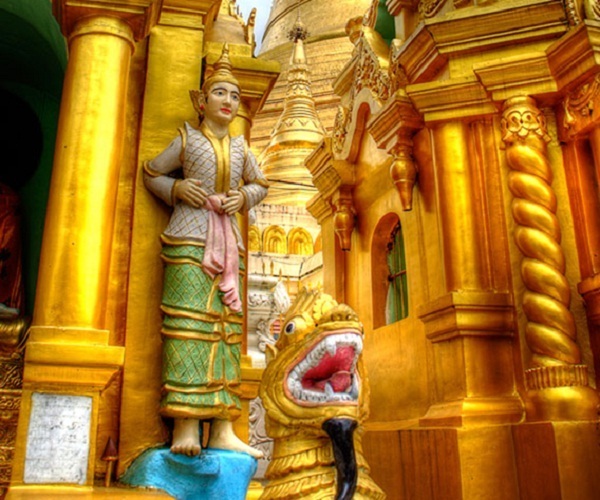 The Pagoda is a repository of the best in Myanmar heritage- architecture, sculpture and arts. 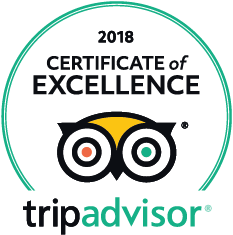 It consists of hundreds colorful temples, stupas, and statues that reflects the architectural era spanning almost a 2,500 years. 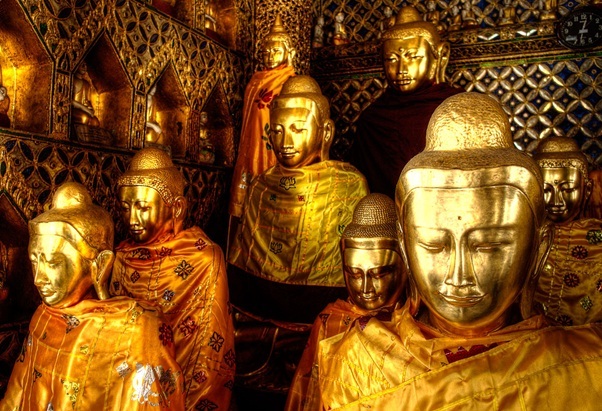 The golden statues of Buddha inside the Pagoda. There are four covered walkways that lead up to the pagoda’s platform. Both the southern and northern entrances have the choice of an elevator or stairs; the western entrance has escalators instead of stairs and is the only entrance without vendors. 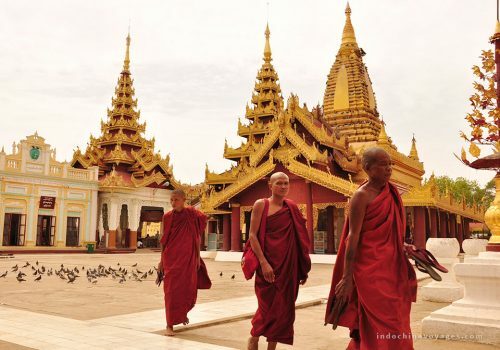 The eastern stairway has the most authentic ambience, as it passes monasteries and vendors selling monastic necessities. 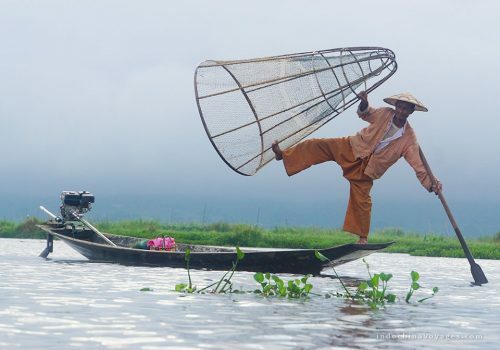 According to the culture, it is strike that you must remove your shoes and socks before you climb the stairs.